Alex L. Dykes from the Alex on Autos channel released an in-depth review of Volkswagen e-Golf. If you're considering the e-Golf among other EVs and have a spare 25 minutes, this is the review you should check out. Presentation includes exterior, engine motor, charging options, seats, interior, infotainment, cargo area capacity, drive including regenerative braking, comfort and price. The detailed review will appeal especially to the customers new to the EV world. 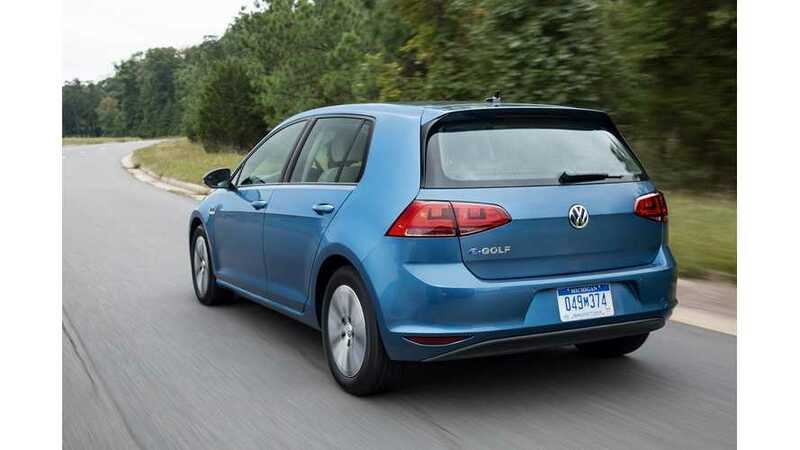 In the summary, Alex compares some of the features and prices of the e-Golf to the Nissan LEAF and Kia Soul EV. As always, every car has its strong and weak points, so you must decide which needs are most important for you. There is a bonus video on child seat installation in e-Golf too. "Is the eGolf the right EV for you? How does it stack up against the Soul EV and LEAF?" "Can you fit three child seats in a Golf? How about rear facing behind an adult? Check this video out!" Hat tip to Scott S!